bet365 is the largest online gambling website in the world, crushing all competitors in traffic and most in revenue. However, most of their revenue comes from sports betting and casino so they don’t dominate the online poker market in the same way. Their opening bonus offer is 100% up to €100 for new players. They do NOT take US customers. bet365 offers a 100% up to €100 poker bonus and is currently ranked #25 out of 28 reviewed poker rooms with an overall score of 49.72. 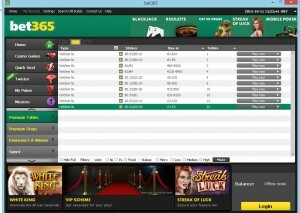 Visit www.bet365.com for more details and to download the official bet365 software. No promo, coupon, or any other bonus codes are required to activate the bonus. Like many others, the bonus is automatically triggered upon making a deposit. 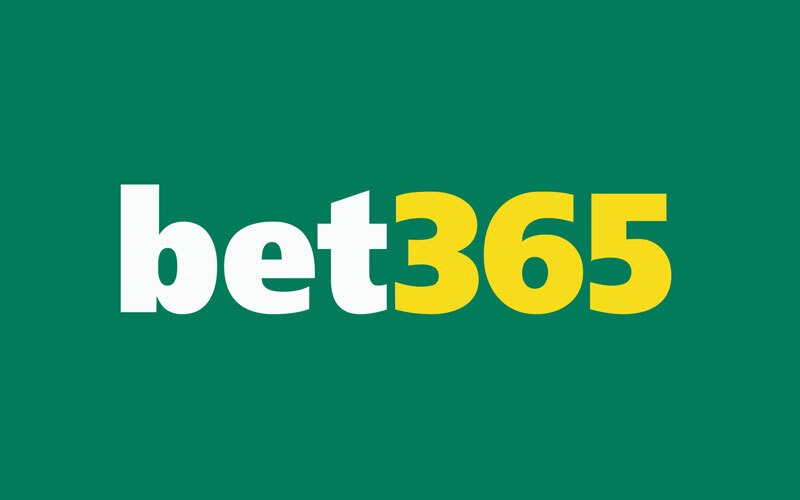 If you want to support this website, please consider using our links to visit bet365 prior to setting up your account and claiming the deposit bonus. 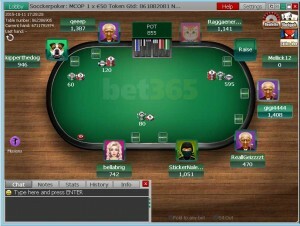 Bet365 has a very small bonus compared to other online poker rooms: 100% up to €100. This could be for many reasons, but I speculate that they’re not as focused on their poker players. Also, I think they are targeting more casual players, rather than professional grinders. As far as I know, the bonus is only available in €EUR. In addition to having a smaller than average bonus, the overall value of the bonus is below average as well. That being said, they give enough time for nearly every person on the planet to clear the full amount (60 days), so hey, it’s a free €100. To clear the bonus, you must earn Merit Points. The first €1 of your bonus is released upon earning 50 points. €4 more of the bonus will be released upon earning 300 more points. From then on, the bonus is released in €5 increments each time 450 points are earned. So the first €1 will be super easy to earn, next €4 not to bad, then it goes downhill from there. Merit Points are awarded at the rate of 15 per €1 in rake or fees paid. Since the bulk of the bonus awards €1 of the bonus for 90 points, the value of this one is a low 16.85%. However, with the total 8,900 points you will earn, the VIP value is a very high 12.64%, bringing the overall value up to 29.49%. A total of €593.33 rake is required, and with a 60 day limit, that sets the rake per day at €9.89 for pace, or 148.33 points per day. The below table shows an approximation of how many hands it will take to clear the full $100 bonus. These numbers may not 100% exact and should be used as an average to give you a general idea, rather than an accurate amount. This is because the rake generated varies widely based on playing style. In general, aggressive players generate more rake while more conservative players generate less rake. Therefore, if you tend to play more aggressive, it may take you fewer hands, whereas if you play more tight, it may take you more hands. If you’re looking to play now, you can visit bet365.com now from any device or platform and start earning your $100 deposit bonus! Looking to get started? Signup at bet365 through Bonus Ace by using the link above. New players can receive the 100% up to €100 opening bonus offered, described in this review.